Pumba leaking oil for the third time from the gear shifter linkage to the engine compartment. Anyboy else facing the same issue? So the Harley guys have again changed the Neutral shift O ring, lets see how long this lasts. I also went for my first HOG ride this weekend. It was planned at the last moment so couldnt take my camera with me..... It was a small ride of 90kms to and fro with on the house breakfast boufet from Mariott. 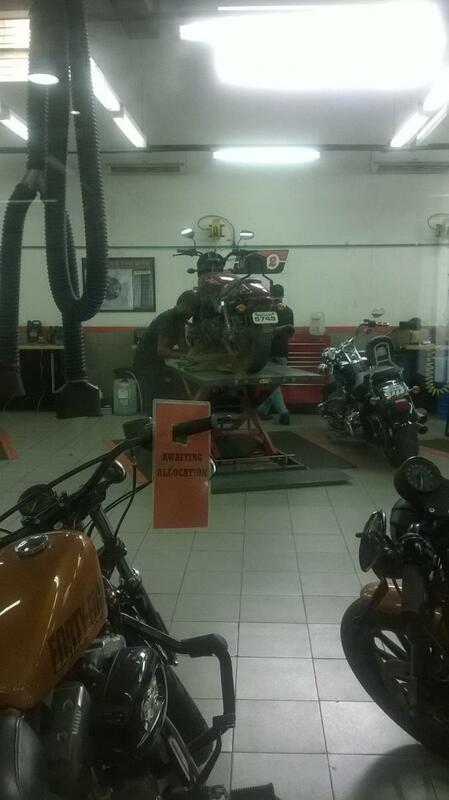 The total attendance of Harley bikes were close to 200, with around 165 coming down from Mumbai and 35 from Pune. Almost the entire range was there including a Night Rod and even a CVO glide, although couldnt see the Breakout though. Logging in after a long time. Pumba is doing good, have completed 3000kms on it. 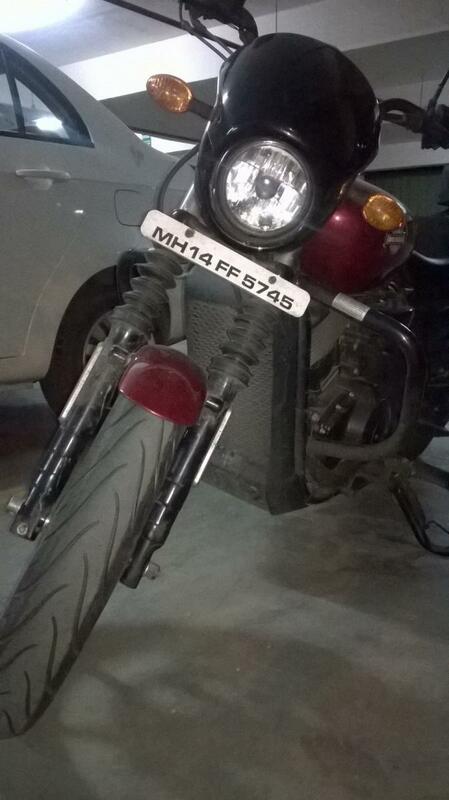 Meanwhile have added a backrest and changed the tyres to Michelin Pilot Street 110 (Front) and MRF Vyde 170 (Rear). the grip levels have improved drastically, so is the looks. Did some city riding yesterday with real heavy traffic, have a doubt as to how do you guys cope up with the Clutch Fatigue in city riding with stop go traffic for kilometers? Great to read your post. I have done over 3200 Kms on my street which I bought in February 16. Just wanted to know any particular reason for shifting to Michelin and MRF. I haven't faced any issues with my stock Tyres and have done riding in pelting rain and slush. Solo750owner and Kinshuk Arya like this. I had couple of scary scenarios with emergency braking where my FZ with the michelins in front didnt do any drama, that's why I changed the front to michelins and the rear to the best available in India. 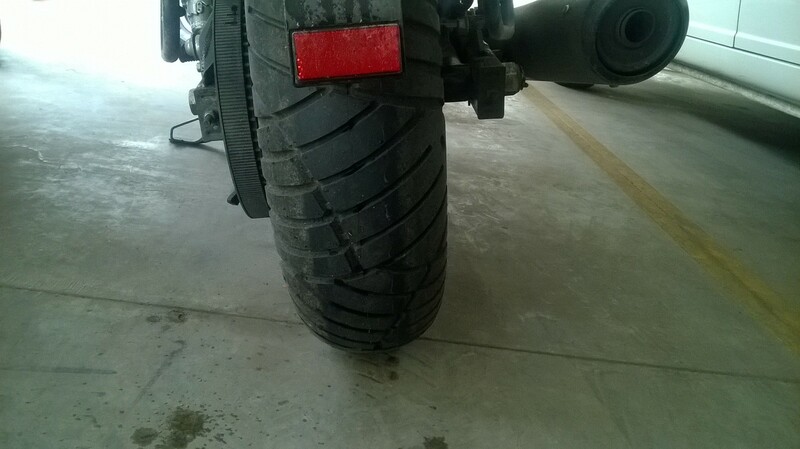 The problem is the braking power in STreet is good but the Tyres dont hold together. I found the Vyde to be much better than the stock zapper nylogrips. They are of a softer compound and you can even upsize the stock to 170 which also might be more helpful than the stock 150s. I have been using Vyde 170 from the past 3-4 months.